Moving brings out the best and the worst in you. An equal mix of stress and excitement. After a long day of unloading boxes into your new home, the last thing you need is to have to deal with a huge, cluttered mess. Your first instinct could be to start cleaning - but which box has all the cleaning supplies again? The simple solution to preventing a jumbled mess when moving is to create the ultimate unpacking kit. 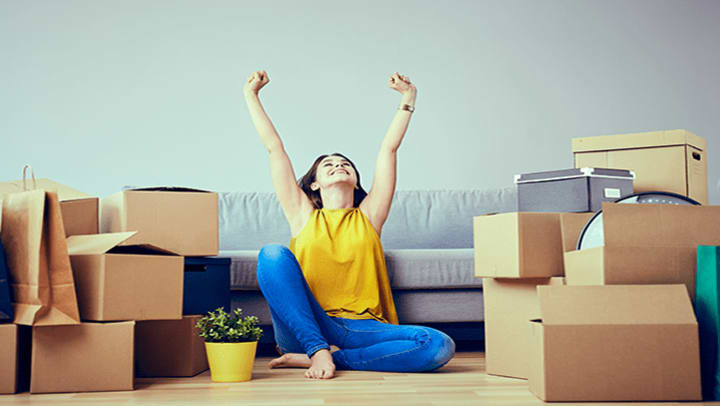 Prepping a box full of essentials for the first day or two of adjusting will help make your move way easier, and hopefully, help eliminate moving stress. Everyone's a little different, so make sure to customize your unpacking kit to your needs, but make sure to include all the basic essentials! A few trash bags - Unpacking is messy. And whether you think so or not, you’re definitely going to need some trash bags to get you through the unpacking process - not to mention, you’ll probably have lots of bubble wrap and packing tape to throw away! Box cutter - Nothing is more annoying than trying to rip open a box completely covered in packing tape. Unless you’re Hulk, bring along a box cutter to cut your unpacking time in half. Hand soap - You never know what you’re going to find when unpacking your boxes, and come lunchtime, you’re going to want to wash your hands. Pack some of your favorite smelling hand soap to rinse away any dust from your hands - plus, you’ll already have some ready to go for your first few weeks at home. All-purpose cleaning spray - You want your new home to stay sparkly and clean for as long as possible. Pack some cleaning spray to keep messy handprints and dirt out of your new home. Paper towels - Now that you’ve washed your hands and cleaned your counter, what are you going to dry them with? Bring along some paper towels to dry up any wet areas. Plastic utensils and paper dinnerware - Getting through the first couple of days without utensils and dinnerware is a challenge in itself. Even if you order takeout, what are you eating it on? Shower essentials - At the end of the day, you’re going to be tired, sore, and sweaty. Pack your shower necessities such as shampoo and body soap so you can easily hop in the shower without looking through every box in the house. Just remember to pack a shower curtain and at least one towel! Pain reliever - You never know when aches and pains are going to hit you, especially after carrying in all those boxes. Put some in your moving kit for easy access to get you through the day. Granola bars - Moving makes you hungry. Grab some granola bars to throw in to curb your appetite before you can grab a real meal. Pet food (if you have a pet) - Not only are you going to be hungry, but your pet will be too! Remember to pack some food for your furry (or not so furry) friends! Put all of your kit contents into a compact, clear container. You can grab one from Target or Walmart, but be sure to grab one that will fit all of your items. Having a clear one is key so that you can easily see all of the contents. Remember to save your unpacking kit for last when you load your car. That way, it’ll be one of the first boxes out, and you’ll have immediate access to everything you need. Need some help moving? Check out more blog posts here that can help make your moving process run smoothly. If you have any questions about moving or storing, don’t hesitate to reach out to us here!